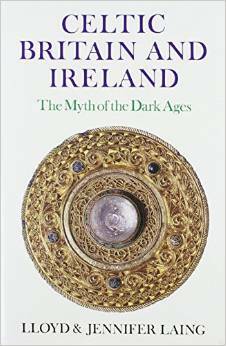 This book reconsiders a number of traditionally accepted views: it argues, for example, that the debt of the Dark Age Celts to Rome was enormous, even in areas such as Ireland that were never occupied by Roman invaders. It also discusses the traditional chronology suggesting that the date of ‘AD 400’ usually taken as the start of the early Christian period in Britain and Ireland now has comparatively little meaning. Category: Pre 18th Century History. The term ‘Dark Ages’ was coined to describe a period which was seen as a period of anarchy and violence, following the collapse of civilisation. Recent discoveries by archaeologists and historians have, however, radically altered this traditional view of the Dark Ages, and the period is now seen as one of innovation and dynamic social evolution. This book reconsiders a number of traditionally accepted views. It argues, for example, that the debt of the Dark Age Celts to Rome was enormous, even in areas such as Ireland that were never occupied by Roman invaders. It also discusses the traditional chronology suggesting that the date of ‘AD 400’ usually taken as the start of the early Christian period in Britain and Ireland now has comparatively little meaning. Once this conventional framework is removed, it is possible to show how the Celtic world of the Dark Ages took shape under Roman influence in the centuries between about 200 to 800, and looked to Rome even for the immediate inspiration for its art. Such questions as the extent of British (that is, Celtic) survival in pagan Saxon England, and the Celtic and Roman contribution to early England are considered.